Chapter 2: To Secure Or Not To Secure? A Pretty Important Question. 2 CE Hours. Guided Reading. This course is also included in our Telemental Health Packages. Save time and money with our online CE packages here→. Think about the difference between clients calling to say they’re running late and clients emailing or texting to say they’re running late. The convenience difference is huge! And clients love it. But if the questions we get at Person-Centered Tech are any indication, most clinicians are still wondering how email and texting can fit into their practices without legal or ethical complications. Can we use them and be HIPAA compliant? Is it really true that clients can request that I send them unencrypted emails? What options are available to me for email and texting services that work for my HIPAA needs? This course will get into all of that and more, including how email and texting fit into the professional practice and HIPAA landscape, perspectives on secure and nonsecure emails and texts, general risk management concerns, professional engagement with clients by email or text, and finally the big questions of what and how to document all those messages exchanged with clients. The Resources page will point you towards some viable service provider options, and we provide some handy practice forms in the Handouts page. This introductory-level course is intended for counselors, marriage and family therapists, clinical social workers, and counseling and clinical psychologists. 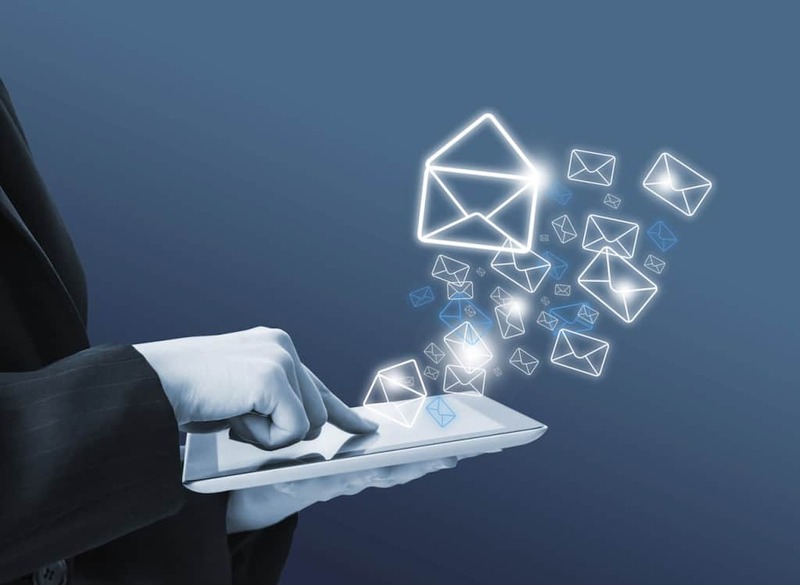 Assess email and texting services for appropriateness for use in professional practice, and work with clients to use them effectively and safely. Comply with legal-ethical security standards when using email and texting in professional practice. Communicate professionally with clients over email and text messaging. Maintain legal and ethical documentation when using email and texting in professional practice. Email and HIPAA Compliant Practice: Is It Possible? : A survey of how email fits into the security and privacy landscape of mental health practice. Briefly covers risk management issues and HIPAA requirements. Texting and HIPAA Compliant Practice: Also a survey of what we call “text messaging” and how the different forms of it look under the hood terms of security and privacy. HIPAA’s applications are discussed. Clients Have the Right to Receive Unencrypted Emails (and Texts) Under HIPAA: An explanation of how, and theories as to why, HIPAA allows clients the autonomy to request unsecure emails and texts from their health care providers. HIPAA’s rules are compared with ethics codes and state laws, and some risk management considerations are explained. Even Though They Have a Right Under HIPAA To Unencrypted Emails: A Case For Only Using Secure Email and Texting With Clients: A case is made for not only using secured email and texting, but also for how one could go about making that security comfortable and attractive. Strategies for fostering better security are provided. Non-Internet Risks in Email and Texting With Clients: A survey of risks to client confidentiality and safety when emails and texts from therapists sit at rest in client cloud services and devices. These risks remain even when good security is used to send emails over the Internet. Strategies for collaboration on risk management are provided. Professionalism In Engaging With Clients by Email and Text: Explores the ethical issues of professional voice in textual communication and turnaround time/boundaries around textual communications from clients. Strategies for managing both are covered. How Do You Document Emails and Text Messages Received From Clients? : Explores the documentation-related questions of whether or not to document, how much to document, and the logistics of going about documenting. Strategies and ethical rules for all 3 points are discussed. Accuracy, Utility, and Risks Statement: The contents of this program are based primarily on publications from the US Department of Health and Human Services, publications from attorneys, and on guidelines and/or ethics codes of these professional organizations: AAMFT, ACA, APA, ATA, NASW, and NBCC. Some interpretation and analysis presented is made by the presenter, in consultation with knowledgeable colleagues and expert consultants. Statements about applications to technology are according to presenter’s understanding of the technology at the time of the program. The presenter may not know how to apply all principles discussed to every technology type or product. This program discusses strategies for complying with covered ethics codes and HIPAA, and for legally and ethically using email and texting in practice. It may not include information on all applicable state laws. Misapplication of the materials, or errors in the materials, could result in security problems, data breaches, or non-compliance with applicable laws or ethics codes.